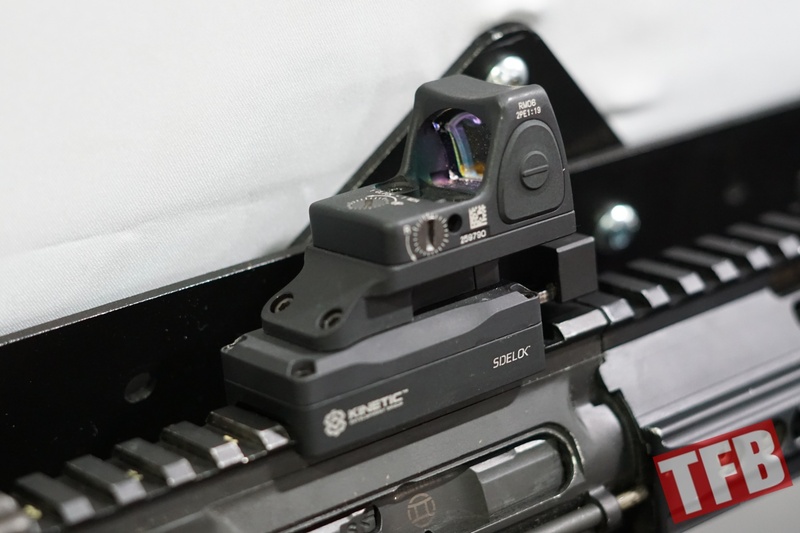 Kinetic Development Group, known for working on SCAR accessory upgrades, is introducing an RMR mount for their product family of SIDELOK optics mounts. 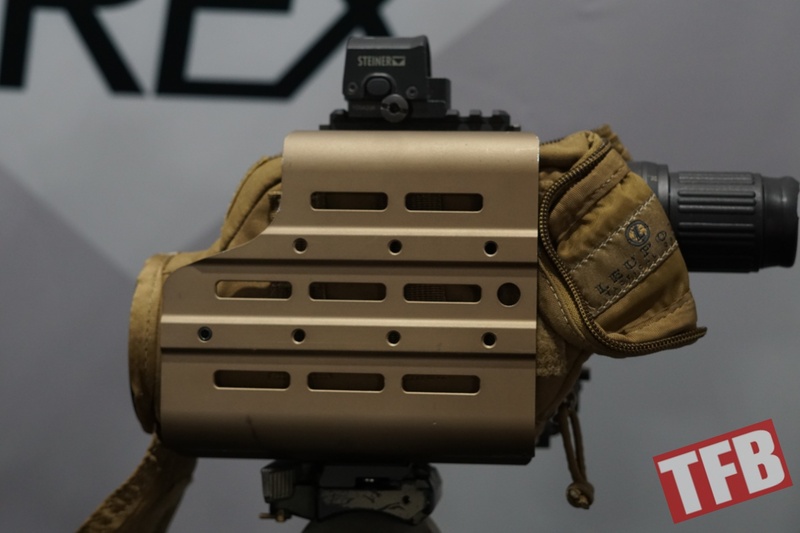 The SIDELOK sets itself apart from other mounts in its class by having the ability to be pressed on and off a Picatinny rail by simply engaging a catch at the base of the mount. 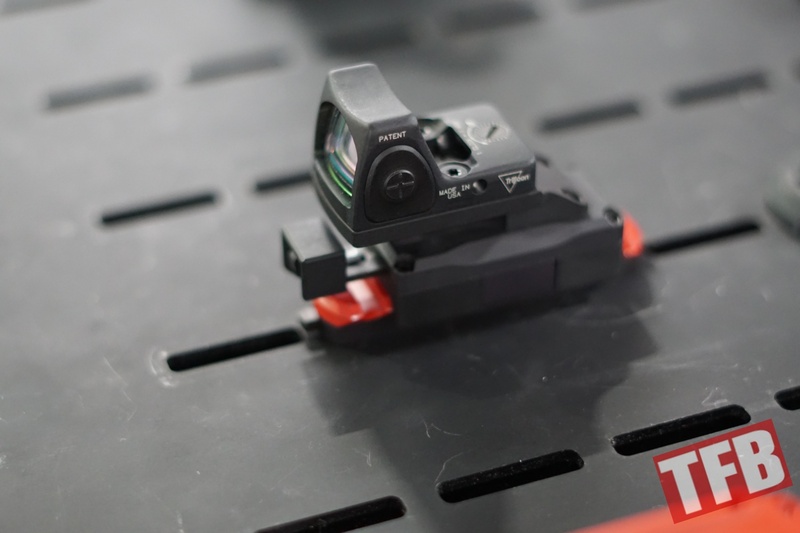 This catch is configured in such a way that when the mount is locked onto the rail, the zero is maintained throughout the use of the optic on the rail. This is aided by a recoil lug that is mounted forward of the actual spring loaded latch that keeps it in place. But if you need to quickly take the optic off, you can easily do so by depressing the latch, then later on putting it back with a return to zero. The SIDELOK has been available with numerous other optics on the market, Aimpoint, Trijicon, 30mm, 34mm rings, to name a few. 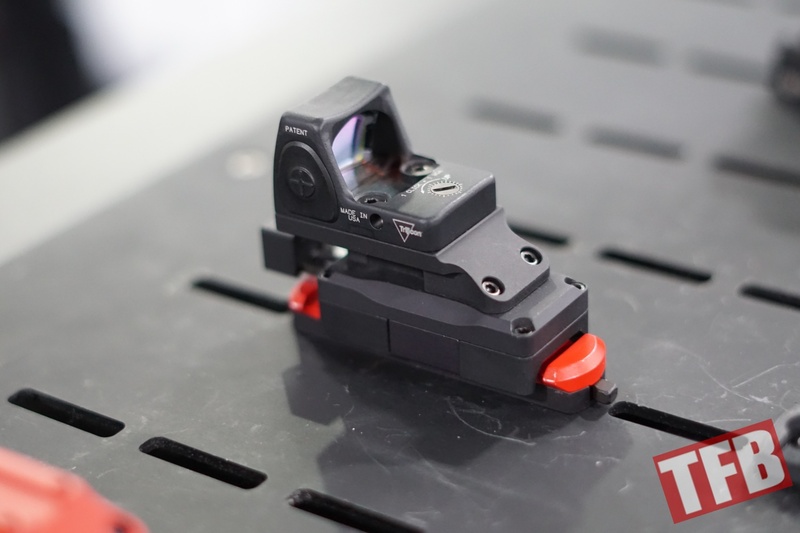 KDG is now adding this option for the Trijicon RMR. The company is coming out with two different options for this. 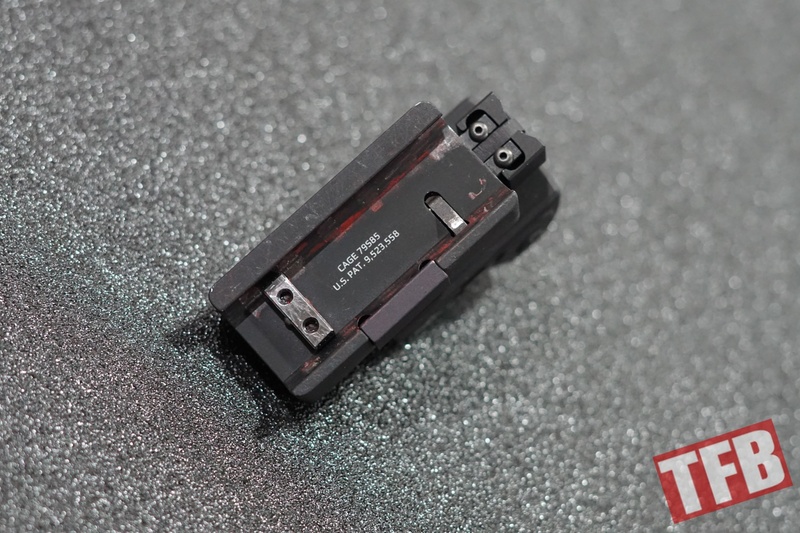 One can order it as either an RMR Absolute Co-Witness, with the RMR meant to co-witness with AR height iron sights. 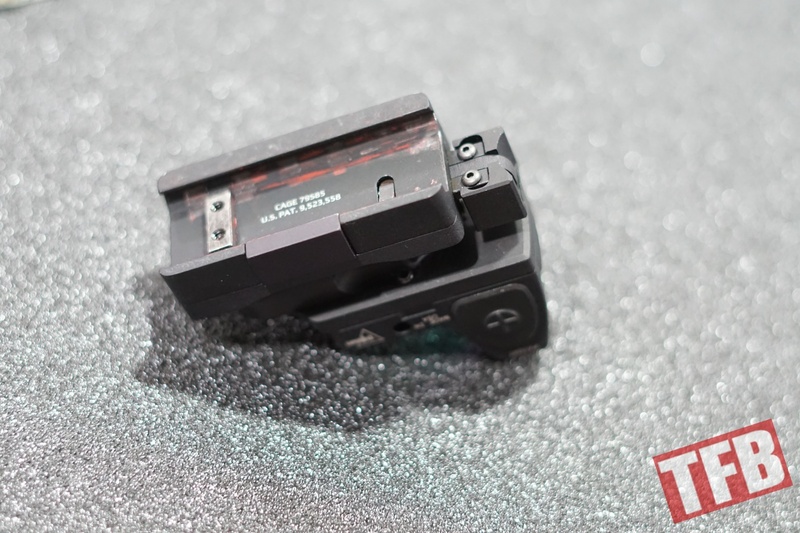 Or as an RMR Low Mount, where it doesn’t co-witness due to the top bridge of the RMR blocking AR height sights, but keeping a lower profile on the rifle (or submachine gun) overall. 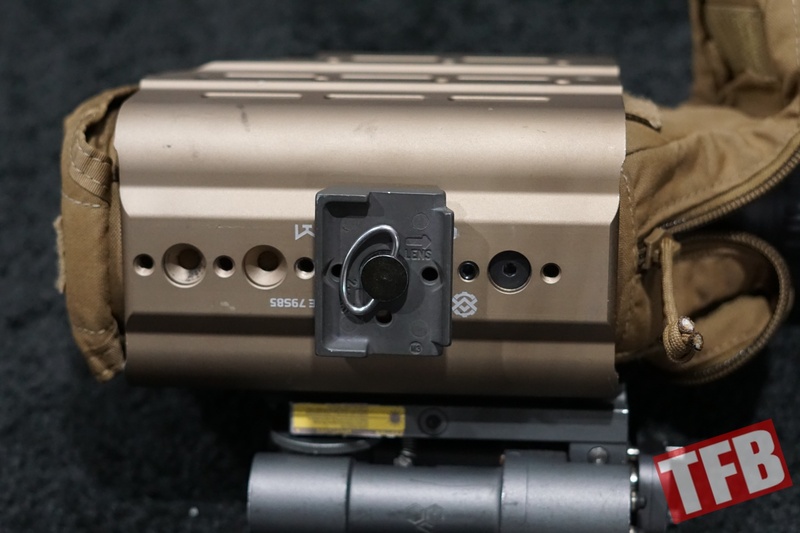 Also up for KDG was the company’s Optics Hub spotting scope housing. The idea behind this spotting scope housing was that current spotting scope housings are usually made for the Leupold Mark 4 12-40X to fit very well in, without the scope cover. 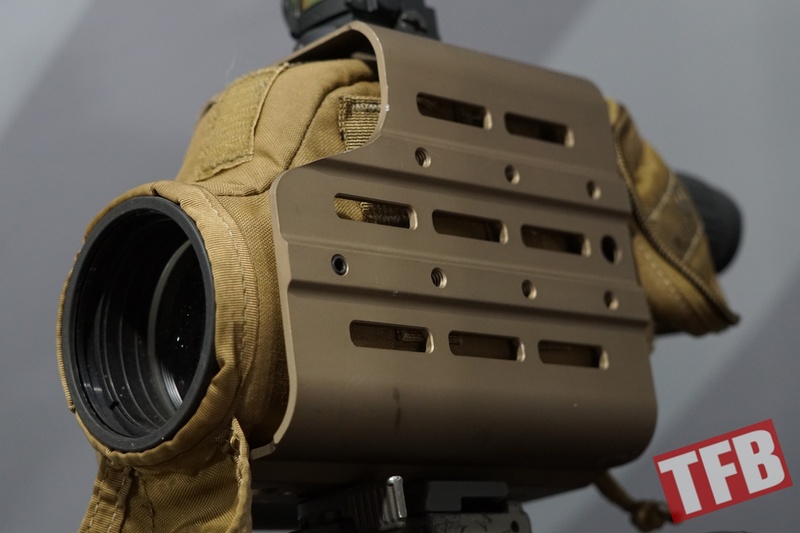 KDG wanted a spotting scope housing that could be employed with as many spotting scopes on the market, and could also be used with their protective dust covers still on them in the housing. 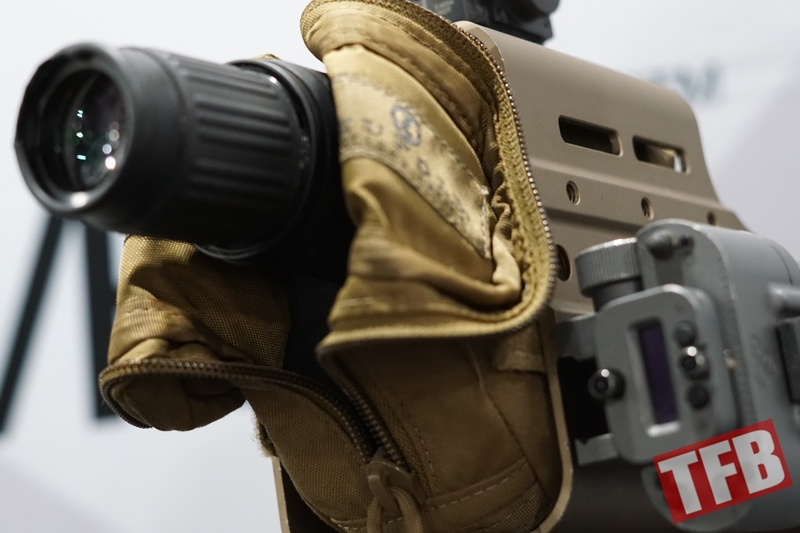 It is fitted with M-Lok rails on all four sides, has screw mounts for Picatinny rails to be added if need be, has QD sockets for sing swivels if that is necessary, and has numerous ports on the bottom and top to be adaptable to numerous photo tripod mounts out on the market.